Rhett Butler and Scarlet O’Hara on the big screen! 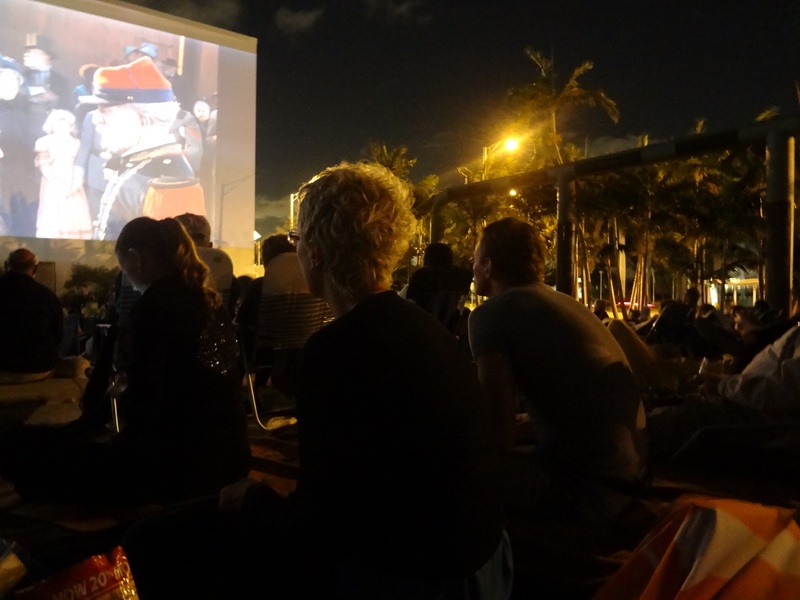 Last night a group of EC Miami students and staff parked their blankets and appetizers down on the lawn in front of the New World Symphony in excited anticipation of the 1939 viewing of “Gone with the Wind”. Students and staff gathered early to enjoy the picnic atmosphere of the open outdoor event under the stars. While they nibbled on cheese and crackers, they used their best listening devices to decipher meaning from the Southern drawl that was typical to the time/setting of the film. Nobody could deny the beauty and intrigue of the costumes, the set design, the landscape and oh! Did I forget to mention Rhett Butler?! It was, figuratively and literally, a “feast” for the eyes!